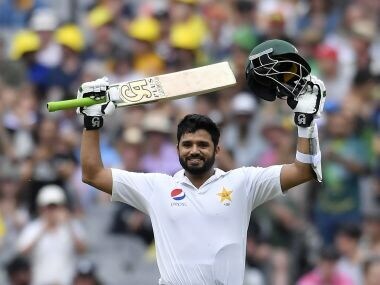 Melbourne: Opening batsman Azhar Ali led the way as Pakistan consolidated their first innings on a rain-hit second day of the second Test against Australia in Melbourne on Tuesday. 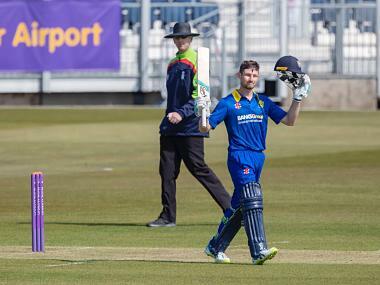 Only 50.3 overs were possible on the day after 50.5 overs were bowled on Monday's opening day as rain again curtailed play. At the close after rain forced an early finish, the tourists were 310 for six with Azhar providing the foundations. Azhar was unbeaten on 139 with Mohammad Amir hitting a breezy 28 off 23 balls with six fours trying to lift the scoring rate after the dismissals of Asad Shafiq and Sarfraz Ahmed. Azhar, playing in his 56th Test, raised his 12th Test century and third against Australia with two runs behind the wicket to fine leg. Azhar's hundred came off 218 balls in 338 minutes and consolidated his position as Pakistan's leading runscorer this calendar year. At the close Azhar had scored 1089 runs for the fifth highest aggregate for the year. The last Pakistan opener to carry his bat through a Test innings was Imran Farhat (117 not out) against New Zealand in Napier 2009. It has never been done in Pakistan's Tests against Australia. Only Mohsin Khan with scores of 152 and 149 back in 1983 has posted higher scores than Azhar as an opening batsman for Pakistan in Australia. Shafiq reached 50 before he gave skipper Steve Smith his third catch of the innings ending an 115-run partnership with Azhar. 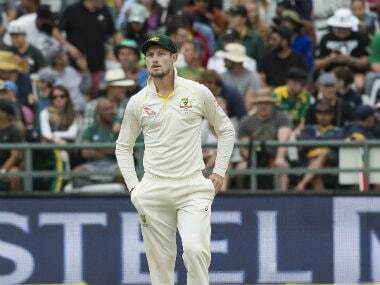 Jackson Bird got one ball to seam away and Shafiq was forced to play a shot and edged to Smith at second slip for his third wicket. Shafiq, who scored a fighting 137 in Pakistan's narrow loss in the first Gabba Test, faced 123 balls for his 18th Test half-century over three hours. Josh Hazlewood got his reward for his nagging accuracy with the wicket of Sarfraz Ahmed for 10, snapped up by Matt Renshaw at first slip. Hazlewood sent down 26 overs for the miserly figures of two for 33 with 11 maidens. 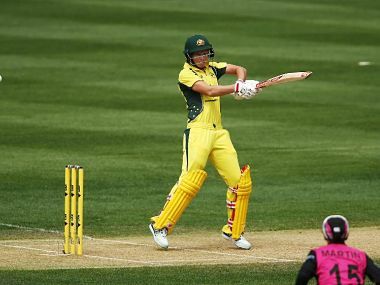 Mitchell Starc had problems with his front landing foot and struggled wicket-less for 77 runs off 23.2 overs. Light rain sent the players from the field midway through the opening session, before play resumed and was then stopped again just before lunch. It intensified during the lunch break and prevented any play to tea after washing out play post-tea on Monday's opening day. A total of 78 overs have been lost so far, but play is scheduled to start 30 minutes earlier each day for the remainder of the match. But more showers and storms are forecast over the remaining three days.